"Don't follow trends, start trends." 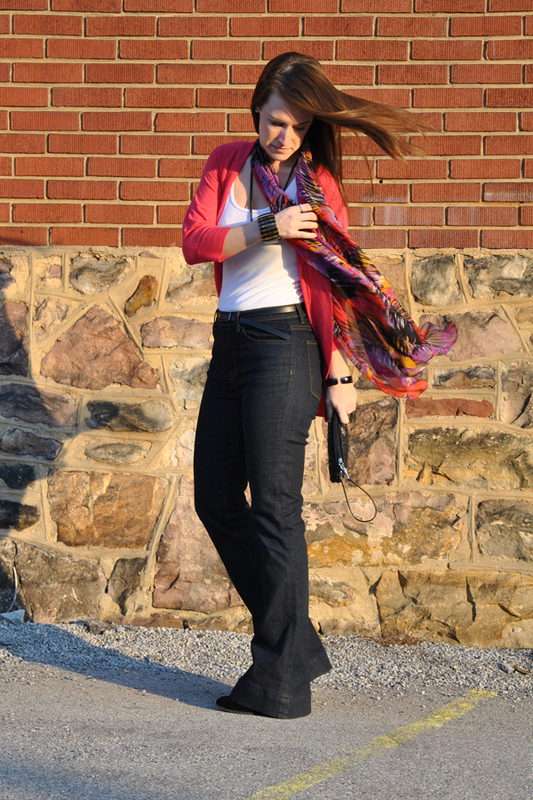 When I selected these jeans at the Lucky FABB conference from JBrand I was excited but nervous. I'm used to the low riding jeans where they sit comfortably on your hips. 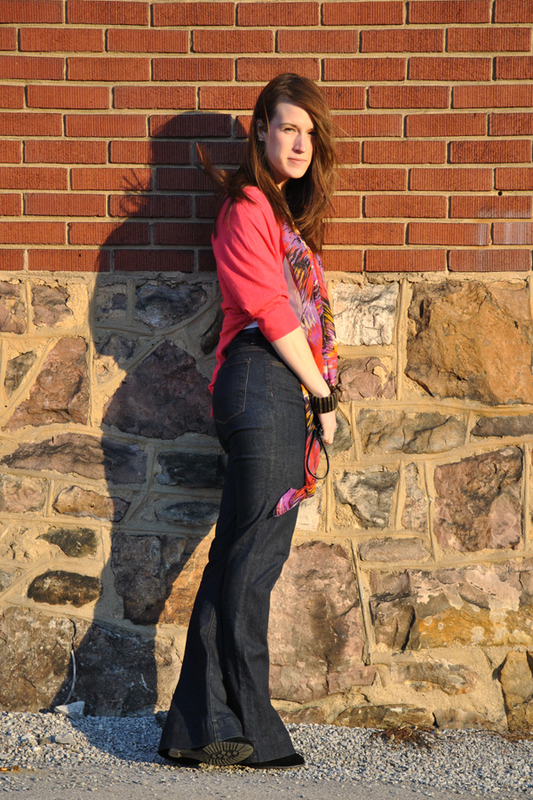 These Bianca jeans (HERE) sit at your natural waist line. Yes this is the style of jeans we use to wear years ago before the hip huggers and low riders became big. But it was a little weird to wear jeans that sat this high again. 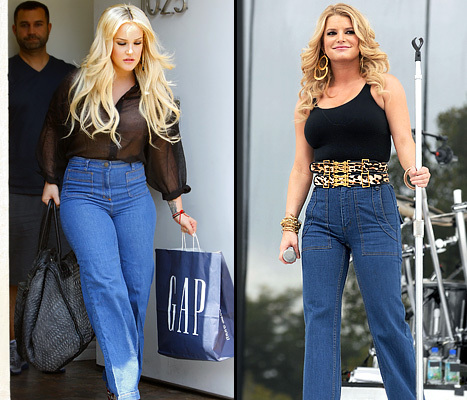 I was a little afraid I would end being a fashion NO and looking like Jessica Simpson did when she wore high waisted jeans (HERE). I wanted to hide my waist/hips and felt like these jeans drew attention to them. So I compromised by tucking my tank in and wearing an open cardigan on top. Hidden but still showing a little. How do you feel about high waisted jeans? Will you try the trend? I love your cardigan, the colour is to dream for! Also the scarf, so beautiful! I really like the look of the jeans! I've been looking for some high-waisted jeans for a while. I might have to check these out! So pretty! Love this look! I wear high waisted denim almost everyday! Amazing, right?! Love the contrast with the scarf!